Over the past two years many friends have asked for help understanding the new way books are published. This is common when you know a lot of writers, and recently I realized that most of my friends have either published books in the past, or are working on books right now. Although I love helping my friends, I groan a little (inside) when I hear this question, because the answer is a bit long and difficult for most people to get a grip on. Questions about book publishing have only intensified. I had to think of a new response, and finally an answer occurred to me. Drawing on my experience in book publishing, self-publishing and graphic arts, I decided to start a workshop and invite all interested parties to attend. I call it the Publish Your Book! Workshop. Our roadmap for the workshop will be the “8 Milestones to Self-Publishing Success.” This map was the result of a lot of thinking about what goes into the process of self-publishing. I wanted to look at the process from the point of view of someone who is enthusiastic about getting into print, but who does not necessarily know anything to begin with. Since 1994 I’ve helped dozens of authors self-publish, and I knew that if I could boil this down to an easy-to-follow plan at least the concept would be easier to communicate. Unfortunately I haven’t been able to make it any easier or cheaper, but if you have a map and an idea about where you are going, it makes sense that you are more likely to end up where you wanted to go in the first place. Here is the way the roadmap lays out. 1. 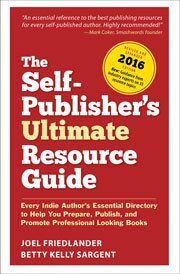 Discover your purpose —What kind of self-publisher are you? 2. Establish Your Base —Setting up your publishing business. Many people about to jump into self-publishing don’t realize they are simultaneously starting a business, or at least a business activity. Organizing yourself properly will save trouble down the road. 3. Step Up to the Platform—Establishing yourself with your market. 4. Get Your Manuscript Ready—Finding editorial and proofreading talent. The single biggest rap on self-published books is that the authors frequently skip or shortcut the editorial process. If you want your book to be taken seriously, you have to come to grips with the need for editing. 5. How Book Design Works—Should you do it yourself? Book Design does make a difference. With software packages, website formatting pages, templates everywhere, and a rush to get into print, it’s important to understand what goes into a book design in order to figure out what you will need for your book. 6. Get Into the Database—Make certain your book is listed widely. Navigating the shoals of ISBN, LCCCN, PC-CIP, and all the other bibliographic databases and registrations can be confusing. At this stage you want your book to be listed as widely as possible. 7. How to Use Print on Demand—Use digital printing to meet your goals. The biggest change in publishing has resulted from the advent of digital printing technology which, in turn, gave rise to the “print on demand” distribution model. How and when to use this powerful technology that will allow you to print one book as cheaply as 100, is vital to today’s self-publisher. 8. Distribution—Getting your book to buyers. All your work won’t amount to much if buyers can’t find your book. What’s the truth behind the rumors of bookstore prejudice against digitally-printed books. How will you distribute your book? Space has been booked, flyers are at the printer, and a new website should go up this week. If you know anyone in the San Francisco Bay Area who would like to attend, let them know about this new workshop. For questions, they can email me at jfbookman (at) gmail.com. I look forward to launching many more self-publishers in the months ahead. I would be so interested. I don’t live in SF but would more than gladly travel to attend Joel!